It has been an impressive and exciting start to the new term for the Sports Department. Mike Hughes, formerly 'master in charge' at Eton and a distinguished player and coach of many years, will be guest coaching at Charterhouse and we are delighted to welcome him and all the expertise and knowledge he will bring. The School has joined forces with near neighbours and Vitality Netball Super League franchise Surrey Storm to welcome two of its staff to help deliver the coaching provision alongside the School’s own teaching staff. Charterhouse boys’ hockey captains Raphael Boulanger and Elliot Clarke both played in the South Indoor Hockey Finals for Guildford Hockey Club before Christmas and came out victorious. Director of Hockey at Charterhouse, Dan Fox coached the team through the event which took place during the school holidays. The competition included eleven teams from across the South of England. Boulanger opened Guildford’s account 1 minute into the first pool match and Guildford never looked back, scoring a whopping 30 goals and letting in only 3 goals in six matches all day. This regional title qualifies the team for the England Hockey National Indoor Finals to be played in the middle of January 2019. 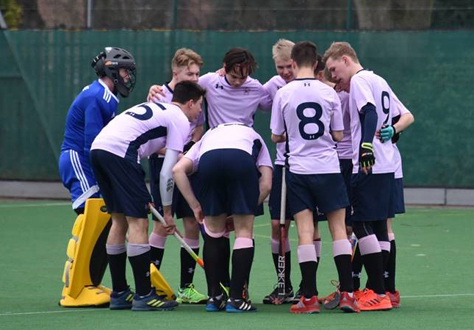 The 1st XI hockey squad began preparations for the new season by travelling to Rugby School to play in a four team tournament on Saturday 5 January. The squad played three matches and returned undefeated. Charlie Timms will compete in the forthcoming 2019 U16 French Freeride Junior World Tour event held in Chamonix in late January.